We are a friendly school and welcome pupils of all abilities and ages. 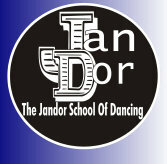 If you would like to see for yourself what the Jandor School Of Dancing could do for you or your child, or need some more information as to what dance class would be suitable, why not drop us an email or ring us on any of the numbers above, or just come along to a class, trial Classes are FREE and everyone is welcome!. Visit us on these social media platforms where we make important announcements-don't forget to "like" our Facebook page!